When American military personnel are found beheaded in the swamps of Puerto Rico, Mack Bolan boards a plane and lands in a political revolution. As the streets of San Juan turn bloody, he suspects someone outside the country is running the show and the gangs behind the military slaughter are simple pawns in a much more complex game. After Bolan almost loses his own head in a midnight ax attack, an ambush sends some of his team to hospital. He decides it's time to take the war to the enemy--even if it means bringing down his own version of the apocalypse. 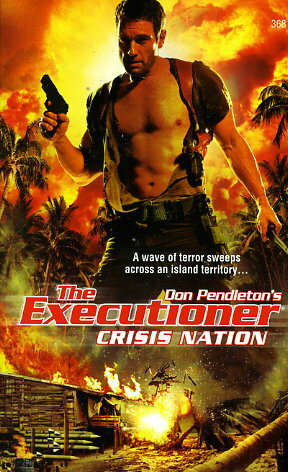 Because when it comes to settling scores, the Executioner is the one wielding the ax.